Alex Binnie started tattooing in the late 80s, and after a 2 year stint in L.A. started his shop ‘Into You’ in Clerkenwell, London in 1993. He had done some silk screening at art school way back, and when he moved down to the coast he started again in earnest. 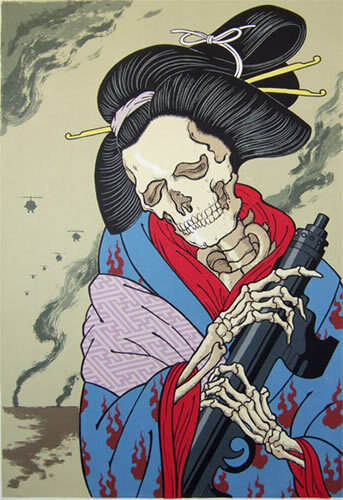 His influences are varied; Japanese woodblock prints and Japanese tattoo art in particular. 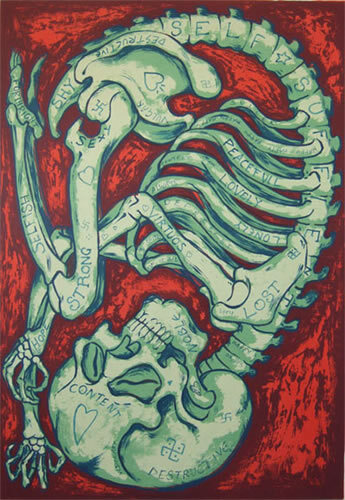 He worked briefly as a medical illustrator and the insides of the human body, particularly the skull and the human condition in general fascinate him. 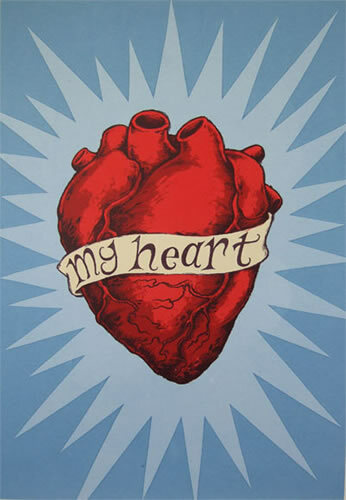 All of Binnie’s prints are hand made by him in very small limited editions.